InterPublicis Groupe – who would run it? 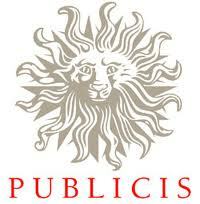 The market, as I said last week, is awash with rumours that Publicis Groupe is about to pounce on poor old Interpublic. No, really – seriously awash. So much so that IPG stock had jumped more than 10% to $10.87 when I last looked, on speculation that PG is considering a $15-a-share paper-and-cash knock-out deal which would value IPG at $6bn. Rothschild is said to be working feverishly behind the scenes with other banks. And IPG, what is it saying? “It is our policy not to comment on market rumors or speculation.” So, that might be a yes then. Publicis Groupe? Impenetrable silence. The rumour has got the investment community hooked, that’s for sure: “We think the reports are credible,” Pivotal Research Group analyst Brian Wieser tells us in a research note. 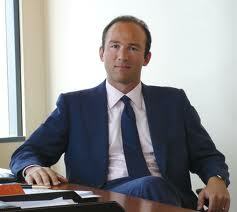 Wieser is a former Interpublic executive who worked at its MagnaGlobal arm. But how credible? Sure, from a financial engineering point of view it looks plausible. It would catapult Publicis Groupe to second largest marketing services group by revenue, behind WPP – creating a spectacular rejoinder to Dentsu’s stunning $5bn takeover bid for Aegis. And mean that PG pdg Maurice Lévy could exit the stage after a high ‘C’ that cracks all the chandeliers. Client conflicts? Not as bad as they might seem at first sight – given the size of these two behemoths. For example, they share L’Oréal and Nestlé; they have shared General Motors. On the other hand, I wouldn’t have minded being a fly on the wall when Paul Polman, CEO of Unilever, and Robert McDonald, CEO of Procter & Gamble, first heard the rumour. It’s not just a question of client conflict – the two rivals reputedly loathe each other. But here’s my real question. Who is going to run the new show? 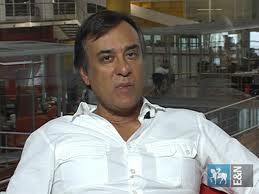 A sophisticated French adman who is too old and keeps telling us he is about to retire? Or a US former corporate lawyer (step forward Michael Roth) whose track record in running a publicly quoted marketing services company is at best indifferent? Would anyone except a Frenchman be allowed to run such a company, given that Publicis Groupe is such a national treasure? And if a Frenchman, who has the stature? Over two years ago I flagged up the possibility of just such a merger. Then, like now, IPG’s share price was depressed and the moment seemed opportune. At that time, PG had recently acquired an expensive M&A expert from Goldman Sachs called Isabelle Simon, whose skills were exactly matched to crafting just such a financial operation. And the PG succession crisis seemed a lot less pressing than it is today. Simon clearly got fed up waiting. Last year she defected to a Monaco gambling organisation. UPDATE 6/8/12: It turns out IPG bid fever is no more than a symptom of mid-summer madness. Publicis has released, tardily it must be said, the following statement: “Publicis Groupe denies having engaged in any discussions with Interpublic Group of Companies and confirms that it has not commissioned any bank to undertake any such discussions.” There is of course room to manoeuvre within the terms of this statement. Notice, for example, that Publicis does not exclude the possibility of having planned such a bid, merely having “discussed” it with IPG or one of its investment intermediaries. Nevertheless, the denial puts the dampers on a merger which, these days, doesn’t add up so compellingly for PG. It would be nice to think that Johnson & Johnson’s newly announced review of its £1.7bn annual advertising spend was driven by a need for greater creative consistency. But it isn’t. Money’s the thing – saving it that is. J&J may be one of the world’s biggest brands, but it’s also a company in trouble. Since 2009 J&J has suffered numerous recalls in the US, mainly of its over-the-counter drugs like Tylenol and Benadryl; but the prescription and medical devices businesses have also been hard hit. All in all, it’s said to have lost $1bn in sales, partly through bad luck and mostly through sheer incompetence. At first it was the staff – including the marketing department – who paid, by being made surplus to requirements. Now it is the spend that’s being trimmed. Judge for yourself from the officialspeak: “Johnson & Johnson is conducting a global agency review and consolidation to build greater value and deliver innovative and fully integrated solutions for our consumer brands.” Well, they wouldn’t want less innovative solutions would they? And they could hardly be less fully integrated than they are at the moment. In truth, there’s an easy win here for the new kid on the block, Michael Sneed – who became J&J’s top marketing (and PR) officer at the beginning of this year. There could hardly be a less efficient way of running your global marketing services than the one that exists at the moment. Uncle Tom Cobbleigh and All are at the advertising trough. It would be simpler to name a global marcoms group that isn’t on the roster. WPP has business through JWT and AKQA; Publicis Groupe through Razorfish; Interpublic through Deutsch, Lowe, The Martin Agency and R/GA; Omnicom through DDB and BBDO; and Havas through Euro RSCG. That leaves, er, Dentsu and MDC off the list. Sneed is a company lifer who, at various stages of his J&J career, has shown considerable sensitivity towards advertising creativity. It will be interesting to see whether this natural instinct gets overridden by the all-powerful imperative of saving the company money. Don’t expect a self-aggrandising Ewanick moment – Sneed seems too modest for that. Do expect a financial deal, of the “Team WPP” or more likely “Commonwealth” variety, that dresses up financial expediency as a coherent creative solution. The most interesting thing about this review may be the losers. 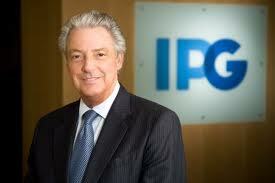 If Interpublic is among them, perhaps group CEO Michael Roth will at last seek to do a deal with Publicis Groupe. The air is certainly thick with rumours to that effect at the moment. These days, we’ve come to see Maurice Lévy, chairman and chief executive of Publicis Groupe, as something of an oracle. Every time the 70-year-old eminence grise makes one of his ceremonial public appearances – ostensibly to observe the religious rites of the financial year – we strain our ears for words of greater meaning, expertly hidden between the monotonous reporting lines. This year’s halfway performance was no disappointment. In themselves, the figures were not terribly exciting. Organic growth of 2.8% and a 19% uplift in income were a perfectly respectable outcome, given that the Eurozone economy has developed blackspot and Publicis had lost the General Motors account. Clearly the BRICs and MISSATs (as we must now refer to Mexico, Indonesia, Singapore, South Africa and Turkey) must be doing rather well to make up the averages. And – hidden gem – Britain seems to be uncharacteristically up among them – for now at any rate – since it posted a 4.1% increase in growth. But all this numerical incantation was historical stuff, and not what we actually wanted to hear. What was M. Lévy’s outlook for the global advertising economy? The downward trend between the first and second quarters would halt. Much higher growth could be expected in the third quarter, starting right now. Phew! And what of Dentsu’s acquisition of Aegis Group, what did he think of that? “The price is extremely full,” he opined in true oracular fashion. “It’s a nice acquisition for Dentsu.” But not for anyone else, we were led to believe. Not at least for anyone with a head for figures. And certainly not for Publicis Groupe, which had done something infinitely more sensible with a full buyout of BBH. And the Publicis Groupe succession (which is all we really wanted to hear about) – any progress on that? Here M. Lévy outdid himself in Delphic obscurity and double meaning. Yes, a successor to himself would emerge. In September. Or was that just the beginning of the process? It rather looked like it: “In September the board will start the process.” Hold on a minute, hadn’t this “process” been going on for several years now? Why did it need to “begin” in September? But, a successor would be found, wouldn’t he? Think of those poor clients and investors waiting anxiously for reassurance. Yes, M. Lévy had his preferred private candidate, but he wasn’t going to disclose their identity to anyone else. That was a matter for the board. So, we’ll take that as full confidence in Jean-Yves Naouri, PG’s chief operating officer and Publicis Worldwide CEO whose name Lévy had let slip during an earlier ritual occasion? Well, possibly. Unless that successor were to be Arthur Sadoun, managing director of Publicis Worldwide. Or maybe Simon Badinter, son of its most important shareholder, Elisabeth Badinter – without whose approval no Lévy successor can be anointed. But we could be clear on one thing, couldn’t we – M. Lévy himself would be vacating his See? Ah! Well, yes and no: “The first and most important thing is the depth and breadth of the teams at Publicis is such that my presence is almost non-important. I think it’s very important that there’s a succession plan and I’m doing everything I can, with a fantastic team, to make sure that no one who entrusts us with their confidence will be disappointed – our clients, our people, our investors,” he said with studied contradiction. Someone “almost non-important” needs a successor, eh? Yes, for once, it is. Cynics might say that £3.2bn – cash – is an awful lot to pay for digital competence and a superior market rating. And they have a point. Would Dentsu ever have planned such an audacious and costly coup as the acquisition of Aegis Group had the Japanese advertising group earlier succeeded in its seemingly knock-out offers for Razorfish and, later, AKQA? It’s subjunctive history: we’ll never know. 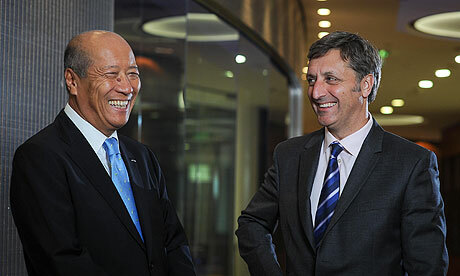 Aegis chief executive Jerry Buhlmann and Dentsu president Tadashi Ishii: Firm friends? The cynics are, in any case, substantially unfair. There’s much more to the Aegis acquisition than digital. This is arguably the transformative deal of the decade. It’s as if there has been a tectonic plate shift in marketing services, revealing a series of minor preceding tremors as clearly apparent elements in a wider pattern. These minor tremors include the foundation of a much stronger, and more independent, operating unit in the US – Dentsu North America – under the direction of Tim Andree; Andree’s earlier acquisition of some of America’s sharpest shops, McGarryBowen, Attik, and 360i; the harnessing of McGarryBowen to Dentsu’s embryonic European network, led by former WPP executive Jim Kelly; and, not least, Dentsu’ decision to pull out of its unsuccessful strategic alliance with Publicis Groupe, cashing £535m in the process. Andree, now gone global as senior vice-president at Dentsu and no doubt a strategic architect of the acquisition, has admitted that the £535m was “helpful in this deal” – coded language referring to the cash pile making it possible at this time. But something of the sort has needed to happen for a long time if Dentsu were not to be stranded in its idiosyncratic role as a one-country wonder, with 80% of global earnings still accounted for by overwhelming dominance in the Japanese market. There are lessons in failure, and the Japanese management of Dentsu finally seem to have learned them. Neither strategic alliances, meaning stakes of about 20% in rival but complementary marketing services companies, nor the occasional one-off acquisition, such as Collett Dickenson Pearce all those years ago, suffice for players in a global market. They needed to delegate more, and yet be more masterful in their acquisition strategy. The delegation came in the realisation that people like Andree, John McGarry and Kelly would know more about how Western advertising culture actually functioned than Tokyo Central would ever know. The more masterful acquisition strategy came from the realisation that opportunities for global expansion were rapidly narrowing, and if they wanted a suitable counterweight elsewhere in the world, they would have to put aside an institutional aversion to big takeovers and get the cheque-book out. That’s why £3.2bn to buy the Aegis Group – 18 times prospective earnings compared with a market average of about 13 – is not too much to pay for this deal. It gives Dentsu indispensable weight as a global player: at $7bn revenues combined, close competition with the Interpublic Group as the number 5 player. As a media/digital operator, it moves into the third slot, behind GroupM (WPP) and Vivaki Media (PG). And geographically, it reduces its dependence on Japan to 60%. Over at Aegis, it’s difficult to guess whose smile is broader: that of Vincent Bolloré, 26% shareholder; Harold Mitchell, who doubles his invested capital from the sale of his business two years ago with a £112m takeaway; or Aegis chairman John Napier. Napier has had to perform a very difficult tightrope trick in the City with a monkey on his back. The monkey is Bolloré. On the one hand, Aegis has performed extremely well in recent years, with organic growth rates defying all its bigger rivals. A cleaning-up operation, which brought Mitchell’s Australian media buying services in and off-loaded the under-performing Synovate market research business on Ipsos, improved them still further. On the other, there was always an air of impermanence about a company as small and narrowly defined as Aegis being on the public markets. Chief executive Jerry Buhlmann knew it, Mitchell – judging from his share investment strategy – knew it, Napier knew it and – most importantly – Vincent Bolloré knew it. Which is why he built up a stake in the first place. From the angle of Aegis’ corporate independence it is difficult to know which was worse: Bolloré Mark 1, the corporate raider stealthily engineering a boardroom takeover with a view to break-up; or Bolloré Mark 2, the disillusioned ‘strategic investor’ seeking to offload his game-changing stake at the first reasonable opportunity. Each was destabilising; neither the stuff of a good corporate narrative to wow other investors. Bolloré is now laughing all the way to his bank – £725m in pocket, representing a 50% premium on his investment. Quite what this means for the future of Havas, trailing with only $2.3bn global revenues, is of course an interesting – but quite separate – question. The nature of the Aegis deal – cash, and a 50% premium to the share price – makes it exceedingly unlikely that Dentsu will face any challengers for its prize. What matters now is whether it will make the deal work. The enlarged Dentsu can boast that 37% of its revenues are derived from the cutting edge, digital – a greater share than any other global marketing services group. Buhlmann has agreed to stay on until at least the end of next year, which should help the glue to set. But what then? Aegis, at nearly 40% the size of its new parent company, is by a wide margin the biggest acquisition that Dentsu is ever likely to make. That’s quite a cultural challenge. The only surprise about the dissolution of the Publicis Groupe/Dentsu strategic alliance is the speed with which it has happened. Less than two weeks ago, PG chief executive Maurice Lévy was telling shareholders he couldn’t pay them a better dividend because he had to hoard every last euro in case the Japanese wanted their money back. In point of fact, the decision to terminate must already have been made, even though the strategic alliance of 10 years still had some months to run. This morning, Dentsu announced it had sold almost all its remaining 11% shareholding (and 15% voting rights) back to Publicis for €644m (£535m). Dentsu retains a 2% stake for the time being, but it’s of little consequence. Dentsu made a profit of £17m on its investment. Small recompense – it must be said – for a strategic alliance which, from the Japanese point of view, has been largely a sham. Right from the beginning, Dentsu found itself wrong-footed. It originally founded the alliance with BCom3, a combination of Leo Burnett and MacManus Group, only to find that Publicis had crashed the party by acquiring BCom3. Where previously it might have expected to play a more preponderant role, the addition of Publicis fundamentally changed the balance of power. And reduced Dentsu to an (even more) passive role as a minority shareholder in PG, albeit with some powerful voting rights. Stripped to essentials, the alliance was supposed to bolster PG’s then-weak position in the Far East, and supercharge Dentsu’s underperformance in North America and Europe. In practice, it was very much more favourable to Publicis, which had in any case benefited from a massive injection of cash to bankroll acquisitions. Most mortifying of all, Dentsu eventually found itself not only in direct competition with its ally for scarce North American digital assets – but coming off worse. Notably in the case of the Razorfish acquisition, where Dentsu put a heady $700m on the table, but was swiftly outplayed by Publicis – which enjoyed an inside track with the then-owner of the digital agency, Microsoft, and irritatingly managed to buy the agency for a lower price. Dentsu soon signalled its growing disenchantment by forcing a sale of 4% of Publicis stock for €218m. Not long thereafter, it showed new and uncharacteristically aggressive intent in Western markets with the unveiling of Dentsu Network West – captained by US Dentsu chief Tim Andree. Where, for years previously, Dentsu had got things spectacularly wrong in the USA, Andree has got at least one big thing spectacularly right. Had he done no more than acquire McGarryBowen – feted by both AdAge and AdWeek as their current agency of the year after a string of high-profile business wins – Tokyo would have good reason to be hugely grateful to him. In short, Dentsu has outgrown its foreign markets inferiority complex, which gave birth to the alliance in the first place. While Publicis now has an urgent reason to dispose of the corpse as soon as possible. Whoever eventually takes over the hot-seat from Maurice Lévy would have little thanked him for bequeathing them an embittered major shareholder. There’s an interesting ownership conundrum facing BBH and its 49% sponsor Publicis Groupe. Here is what I have learned. It concerns Neogama BBH, the global micro-network’s Sao Paulo agency. Its founder, president and chief creative officer Alexandre Gama wants to cash up the majority stake he owns. Neogama, set up in 1999, is one of Brazil’s top ten agencies and quite a feather in BBH’s cap. It is creatively highly regarded and was the first Brazilian agency to win at Cannes. In fact, if my recollection is correct, it now has at least 18 Lions to its name. The agency’s biggest single client is burgeoning Brazilian bank Bradesco, but it also plays an important role in servicing BBH global clients such as Unilever and Diageo. As you can see, a slick, confident peaen to Brazil, the awakening economic colossus. BBH, seeking to increase its profile in up-and-coming Latin America, came about its minority Neogama stake in a convoluted way. Back in 2002, Neogama was 40%-owned by Chicago-based holding company BCom3 – the 3 referring to an alliance between Leo Burnett, DMB&B (now deceased) and Dentsu. BCom3 passed on a part of that stake to BBH, in which it by then held a 49% share through Burnett. Still there? Because it gets even more complicated. Earlier that year along comes Publicis Groupe, which swallows the lot, including Dentsu’s 20% strategic stake, in a $3bn takeover deal, making it the then fourth-largest marketing services group in the world. The important point to note is that PG ended up holding a direct 49% stake in BBH, but only an indirect one through BBH in Neogama. 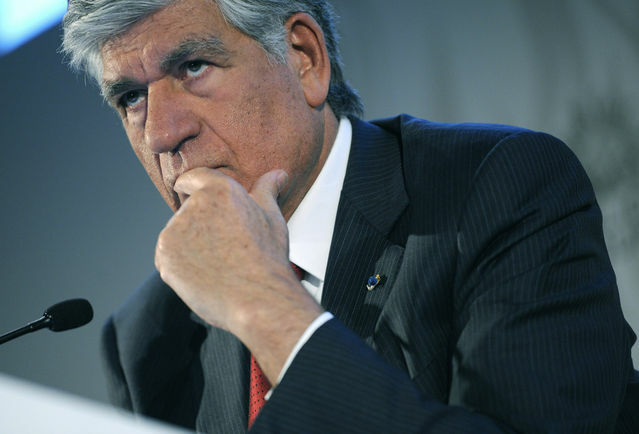 Publicis Groupe CEO Maurice Lévy and Gama are not thought to be best buddies. Although the subsequent BBH relationship has been mutually beneficial, Gama is known to have been hawking his stake at other agency group doors. Why now? Nine years is a long time to wait for your investment to mature, but some go further in speculating that he is worried about his agency’s dependence on Bradesco as a client. The sense is that Gama is engaged in an act of brinksmanship with Lévy, which involves using rival groups as a stalking horse. He well knows his own worth: Neogama is far and away PG’s best agency in Brazil (and one of its best in Latin America). However, buying him out may not prove that easy. If BBH could stump up the cash on its own, that would be the simplest and most elegant solution; but the likelihood is it cannot. So why doesn’t the parent group just step in and sort it out? Well, PG is not a bank – it will want something in return. Such as buying a majority stake in BBH. The trouble is – PG is also Procter & Gamble’s biggest agency group. BBH is of course a Unilever agency, but the 51% majority stake held by the partners keeps the relationship at arm’s length. Even in this enlightened era of agency conflict management, full ownership of BBH might not go down at all well with the good folk in Cincinnati. As I say, it’s an interesting dilemma. Let’s see how Gama, Lévy and BBH group chairman Nigel Bogle sort it out. Jean-Yves Naouri has a great future behind him as the next leader of Publicis Groupe. Don’t just take my word for it. Check out Publicis’ H1 earnings call, which group chief Maurice Lévy used as a platform to “deep-six” Naouri’s much-touted candidature into the long grass. Naouri, it will be recalled, had acquired much of the symbolism of a leader-in-waiting: explicit blessing by Lévy but, more materially, a special executive role to sort out the group’s muddled affairs in China. And, most recently, he has added to this list with his appointment as executive chairman of Publicis Worldwide, the group’s most prestigious network; an event that triggered the resignation of long-serving chief operating officer Richard Pinder. Lévy is now regretting his earlier enthusiasm. Either that or the all-powerful supervisory board, headed by principal shareholder and daughter-of-the-founder Elisabeth Badinter, has rejected the graft. At all events, Lévy has made it abundantly clear he is looking at alternatives. According to AdAge, Lévy is spending time with “a few people” without letting them know he is monitoring them (that bit I rather doubt): “I’m training more than one person because I don’t want only one horse in the race. It is my responsibility to give the board many options,” he tells us. Who might these dark “horses” be? Two candidates come to mind. The first is Arthur Sadoun. Sadoun, about 40, has been president and chief executive of Publicis France for some time but, in a highly significant move this spring, his role was expanded when he was elevated to managing director of the network – with direct responsibility for operations in Western Europe (meaning Germany, Austria, Switzerland, Spain, Italy, Belgium and Holland as well as France). Sadoun ticks many of the boxes for Publicis leadership. He is a quintessential part of the moneyed, French elite. A graduate of the European Business School and an INSEAD MBA, he is also admirably well connected – not least through his glamorous wife Anne-Sophie Lapix, a leading French television presenter. That may make him sound like a Naouri clone. Not so. Sadoun is also an accredited entrepreneur and an adman of some flair. After graduating from EBS in his early twenties, he moved to Chile where he set up his own agency – later sold to BBDO. Returning to France in 1997, he joined TBWA\Paris and in 2003 became CEO. Under his management, TBWA\Paris received the Cannes Lions International Advertising Festival ‘Agency of the Year’ Award 4 years in a row. Spookily, he replicated this success with Publicis Conseil – to which he made a sideways move in 2006 – for 3 years running. Say what you like, M. Sadoun is a man who gets things done. That’s my 7/1 on bet. A darker horse still – say 19/1 – is Simon Badinter. Badinter, 43, comes enormously well pre-packaged as the aforesaid Elisabeth Badinter’s elder son. Badinter mère is married to eminent lawyer and former justice minister now senator Robert. Besides being the company’s heavy-hitting shareholder, she is an intellectual celebrity in her own right. (A point she would no doubt heavily underscore, being one of France’s leading feminists to boot.) Nepotism in a French public company is not the barrier to advancement it might be in Anglo-Saxon economies (the Murdochs being the trying exception to prove that rule). A fact perhaps reflected in Simon Badinter’s long-term presence on Publicis Groupe’s supervisory board, despite his relative youth. Against him, his hands-on experience is hardly the match of Sadoun’s, or even Naouri’s. He was installed as chairman and chief executive of Medias & Regies Europe – Publicis’ airtime and space sales house – in 2003. But a good deal of his time since has been spent in the USA, to the extent that he was recently made a US citizen. Earlier this year, he handed over his M&R Euro responsibilities to kid brother Benjamin, 40, and took on US duties in their place. To cap this Yankophilia, Simon is an enthusiastic amateur radio star. He recently quit as host of “Simon Rendezvous”, a Sunday night slot broadcast by Chicago-based WGN-AM, to take up a similar role at Boston’s WTKK-FM. So, Lévy does indeed have “options” other than the colourless Naouri. What he will do with them remains to be seen. He himself seems keen not to outstay his extended welcome: “My board would like me to stay for a full term (ie 4 more years), which is not something I am prepared to do. I prefer for it (the settlement of the succession issue) to happen now.” Well, not now perhaps, but very soon. Lévy, as he has hinted, would like to sort out the vexed issue of the 10% or so of the company still owned by increasingly disconsolate Dentsu. A share buy-back early next year seems on the cards. Then he can go. If he really wants to.